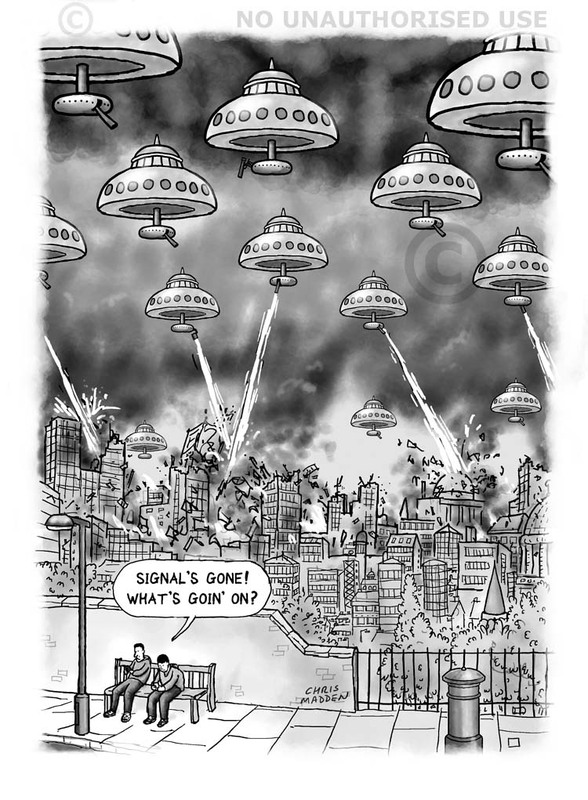 Dependency on mobile phones – cartoon. People are beginning to rely to an excessive extent on their mobile phone (cell phone) and on digital electronic technology. 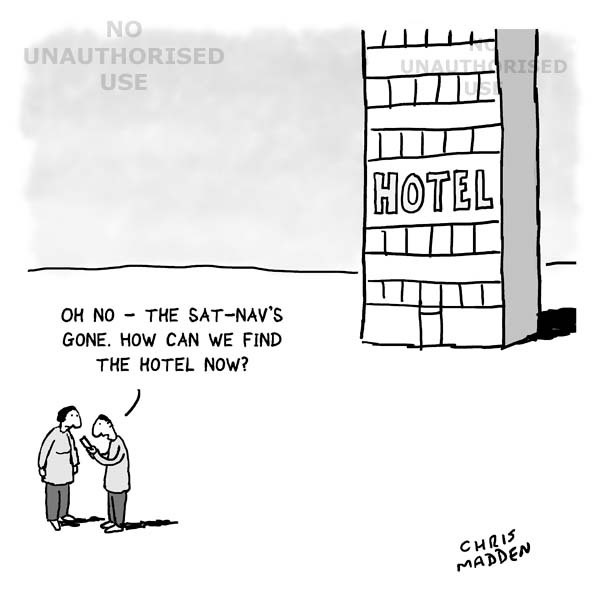 This cartoon illustrates this by depicting tourists who are using the sat-nav function of their mobile phones to navigate to a hotel. The gps has stopped working and they don’t know how to find the hotel, even though it’s plainly in full view. The trouble with virtual reality – cartoon. As virtual reality simulators become more realistic and immersive, people may lose touch with actual reality. 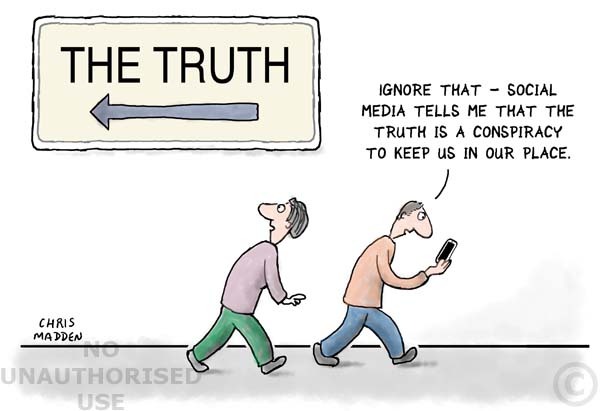 The cartoon shows a person in a virtual reality headset stepping of the edge of the word ‘reality’ into some sort of unstated post reality void. How social media etc via phones and other digital devices reinforce prejudices by filtering information so that the user only sees information that conforms to the user’s existing biases. The ‘filter bubble’ of social media and other digital technology is similar to the ‘culture bubble’ of real-world travel and peer group opinions and attitudes. How the use of phones and other digital devices reinforce prejudices by filtering information so that the user tends to see only information that conforms to the user’s biases. The ‘filter bubble’ of social media and other digital technology is similar to the ‘culture bubble’ in which travellers and tourists surround themselves with their own culture when abroad. 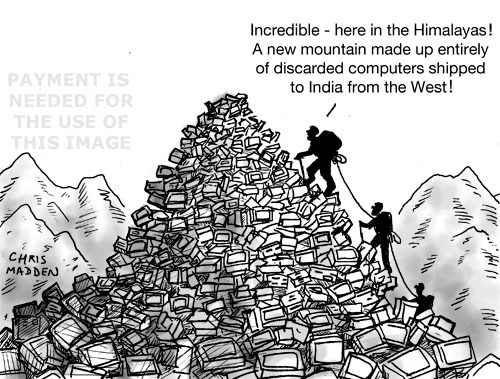 Cartoon about disposing of obsolete computers by sending them to developing countries. Computers and electronic equipment shipped to India for disposal. An illustration of people doing nothing but watching reality television, for whom nothing exists beyond the tv screen, the computer screen or the phone screen. 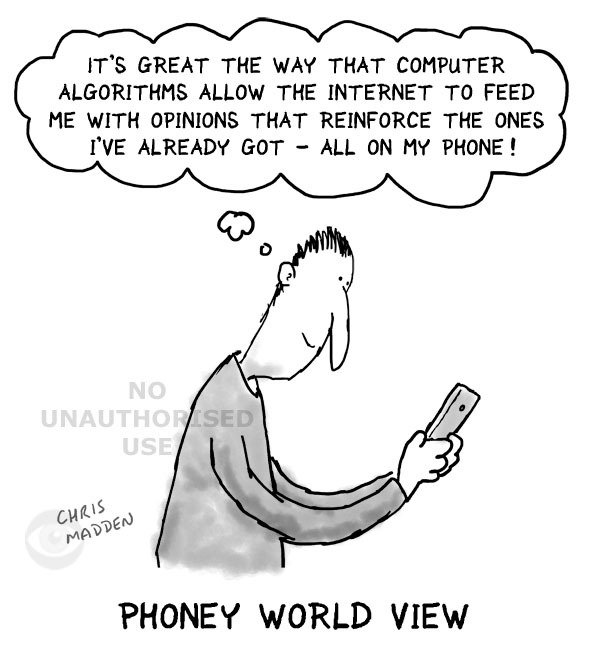 Welcome to my cartoons about phones, including mobile phones and cell phones. To see my phone cartoons please click the image on the right, or click phone cartoons here. The sat nav (GPS) has guided to car to the wrong M31 (the Andromeda galaxy instead of the M31 motorway). The M31 motorway doesn’t actually exist by the way – it was planned but never completed. Instagram have announced that they intend to sell people’s photos without asking permission of the owner of the photo (who normally is the copyright holder). A case of flagrant copyright theft I think. 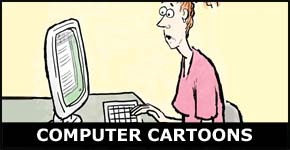 A cartoon about drowning in the overwhelming tide of progress in modern digital technology which makes it hard to keep up and sometimes gives a sense of powerlessness or impotence. 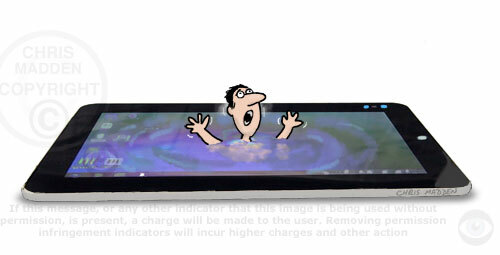 It can also be seen as a cartoon about drowning in immersive technology, where the digital world ‘becomes’ real and overwhelms the user in a different way. People who send anonymous abusive, bullying, offensive or otherwise malicious messages via social media are known as trolls. 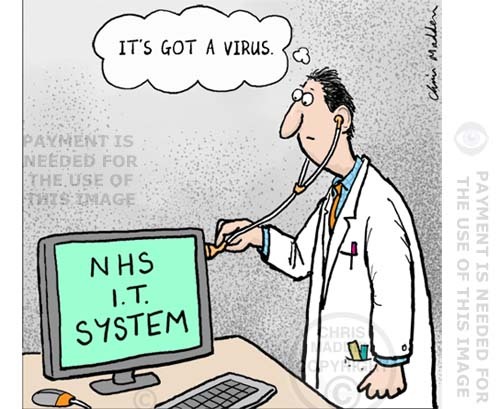 To see my computer cartoons (and related tech subjects) please click the image on the right, or click computer cartoons here. 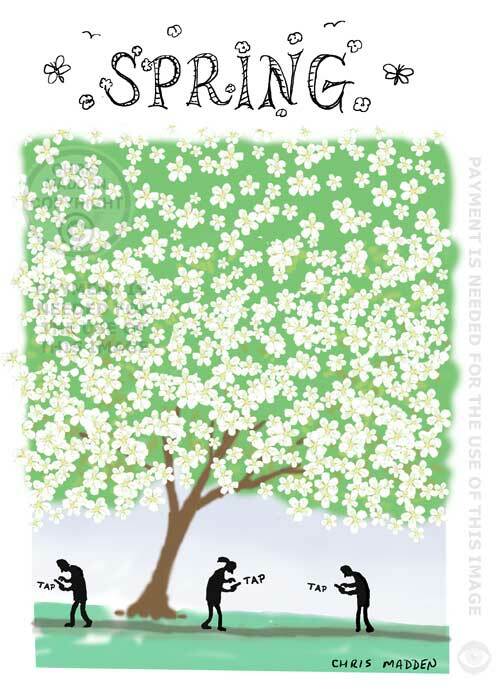 An illustration designed as a badge or label to campaign against the use of Twitter for sending malicious tweets. I’d never heard of the phrase ‘Twitter shitter’ previously, however a quick internet search has thrown up a number of examples, all of which seem, surprisingly, to relate to actually going to the toilet. My own use refers to posting unpleasant tweets similar to the activities of internet trolls and suchlike. Conkers is played with the seed of the horse chestnut tree on the end of a piece of string. Competing children take turns to hit each other’s conker until one of them is broken and falls off the string it’s threaded onto. Apple computers’ maps app has several inaccuracies in it, such as missing roads, wrongly located towns, mis-spelt place names etc. Apple’s chief executive, Tim Cook, has apologised following criticism caused by inaccuracies in its new maps system. This cartoon shows a map of the world on an Apple logo, creating a globe. On the map Africa and South America are in the wrong positions, reflecting (and exaggerating!) errors in the Apple Maps app. 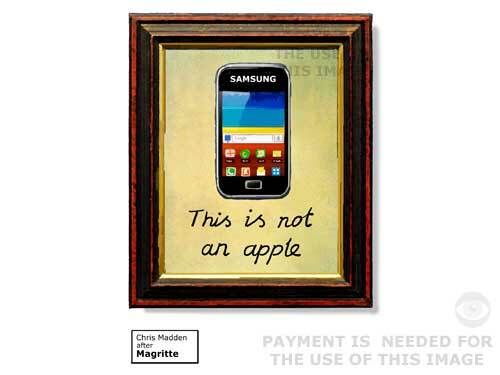 A cartoon about gender differences and mobile phone apps. Gender specific differences are shown here in the way that young men like gadgets, while young women prefer to talk (shown in this cartoon by a man who is more interested in the phone apps that he can add to his phone than in the fact that he can use it to talk to his friends). 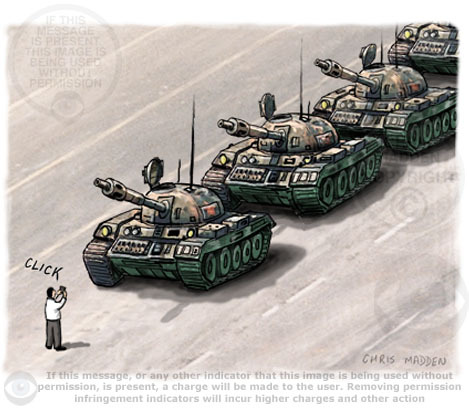 At the time of the Tiananmen Square protest the technology to record the protest digitally did not exist. 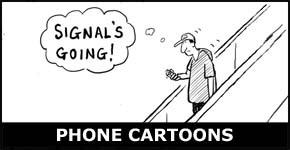 Mobile phone cartoon. 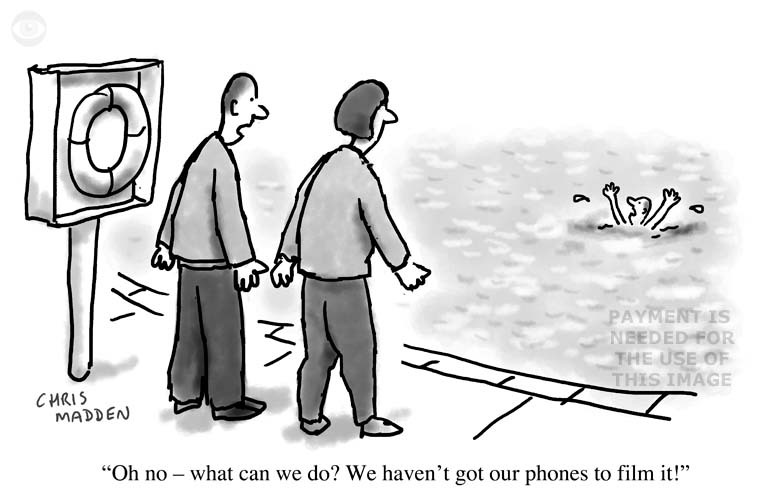 Cell phone cartoon. 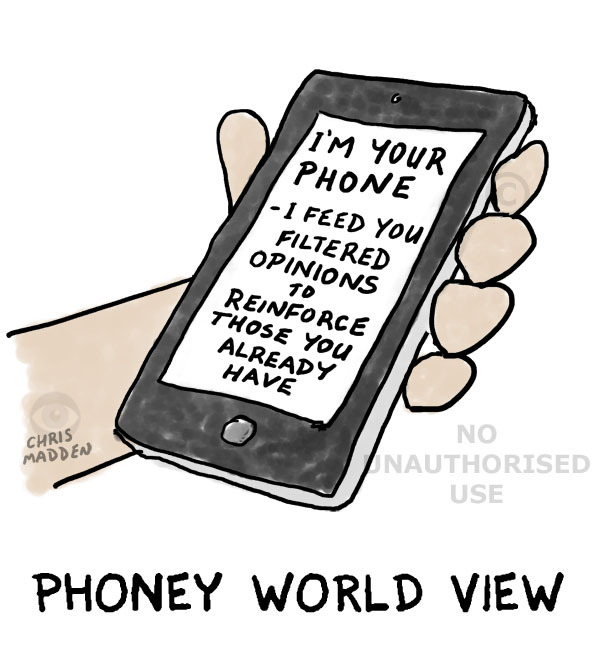 A cartoon showing a person sitting alone with a mobile phone on the table. 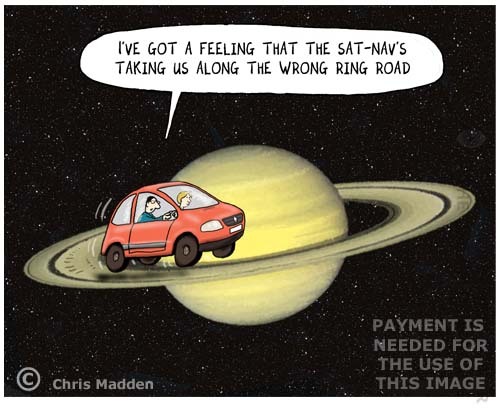 A cartoon about following a sat-nav to the wrong destination – a car has been following the directions given by its sat nav system and has ended up on the moon. Showing a person testing a computer’s intelligence using the Turing test. The Turing test is a test devised by Alan Turing to test a machine’s intelligent behaviour, and to test whether it could pass as human.